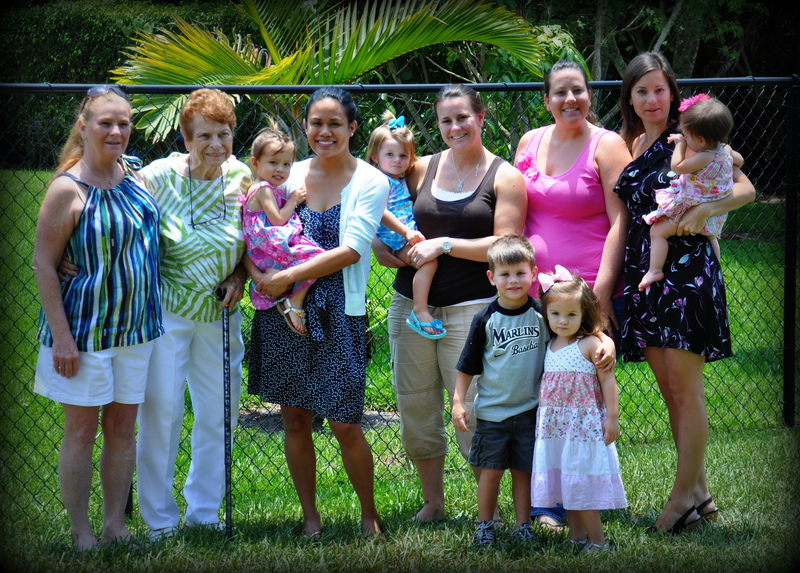 I have so many great memories of growing up and almost every single one involves my grandmother. She showered me and my siblings with so much love and attention and we can’t forget that she always made sure that we were dressed to impress. My Grandma always followed the “Grandma Rules”. 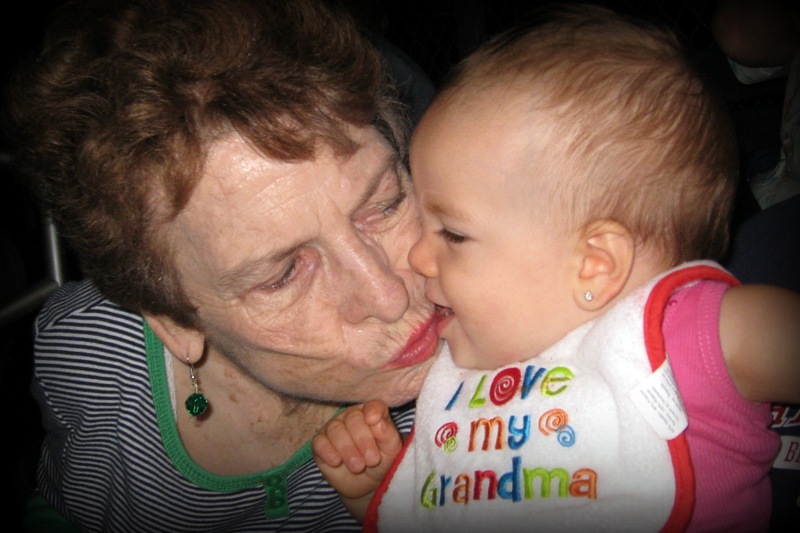 Grandma Rule #1 – Spoil your grandchildren rotten. It was a Saturday tradition to shop til’ we dropped, spend the night at Grandma’s and go to church on Sunday morning. We would come home Saturday afternoon with bags of the best bargains we could find. There wasn’t a sale rack in town that we didn’t ransack. My sister Sara and I would cut off the tags and play “store” in the back bedroom while Grandma whipped up a nice country dinner – cornbread and pinto beans were always my favorite. We ate fudge pops for dessert and then after practicing our routine, it was show time. We always had an audience as Grandma’s living room was filled with close friends and family all the time. After we entertained the crowd it was bedtime, but not before Grandma rolled our hair in curlers. She was determined to get our stick straight hair to curl, even if it meant pin curling every last piece until her fingertips bled. Dressed in our new church clothes for Sunday morning service, we held Grandma’s hand so she could show us off to all of the church folk. She loved to brag about her grandchildren…lord knows that all of her friends were subjected to flipping through endless pages of photo albums of us. Grandma Rule #2 – Always carry mints in your “pocket book.” (I think it is also a rule that grandmas call their purses “pocket books.”) Whenever we got fidgety during the church service she would dig down into the bottom of her “pocket book” and find those random mints floating around. This helped to keep us contained for at least a few minutes. Sitting at the memorial service for Grandma today I could have used some of those mints to keep my girls in their seats. 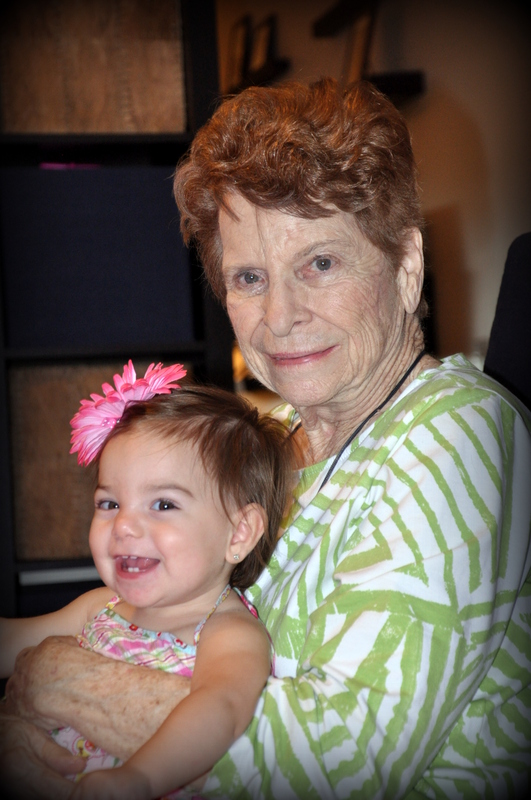 Grandma Rule #3 – Be a shoulder to cry on. As I got older, Grandma became my confidant. She was the person I called when I needed someone to listen. She was the person I called when I was sad and the person I called when I wanted to share the happiest moments of my life. The day I got engaged, she was my first call. When I found out I was pregnant with my first daughter, she kept my secret for weeks before I announced it to the world. I could always count on Grandma to listen and sympathize and then tell me exactly what she thought. I respected that about her. She didn’t tell you what you wanted to hear, she told you what you needed to hear. She came from a generation very different from mine and while we didn’t see eye to eye on many things, she was always my moral compass. She lived honestly, loved fully, and was the best grandmother I could have ever asked for. I am so grateful that she was able to share so many of the important milestones in my life, most importantly my 2 daughters. 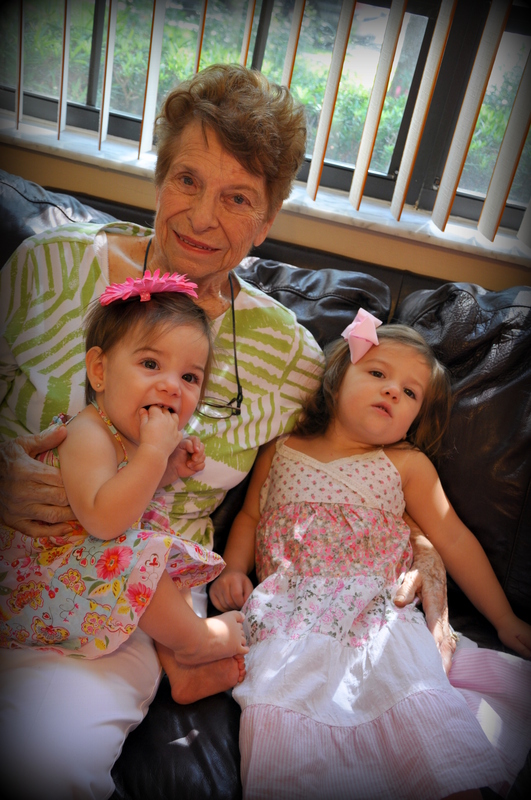 They loved their Gigi and were always excited to talk to her each week. Though short, I will always cherish the time they had together. 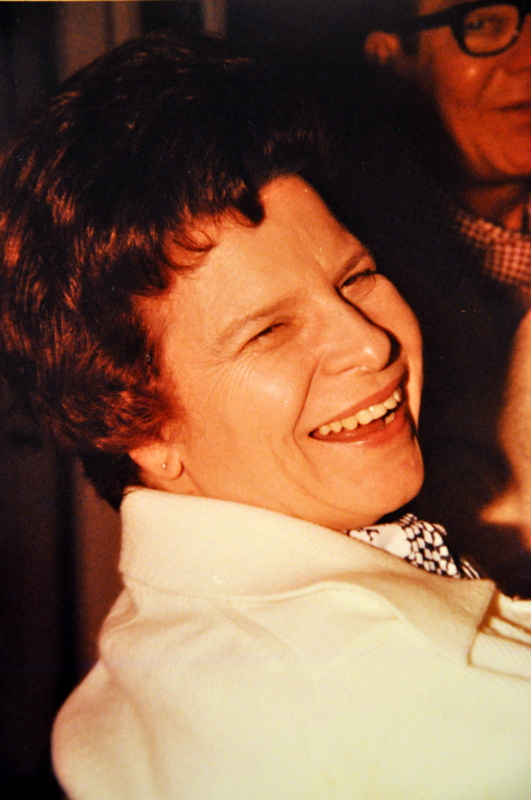 I will miss Grandma dearly but I will carry my memories of her with me forever – her laugh, her smile, her kind and generous heart and her unconditional love for everyone. I knew I was loved, because she was my Grandma. I know that she is in a safe, peaceful place now and that Grandpa is happy to have his “Bird” back. I love you Grandma. Rest in peace. She was such a wonderful person . I will truly miss her . I am thinking of you and knowing how you are feeling. 15 years later and I still remember how great it was to be loved by my grandma. 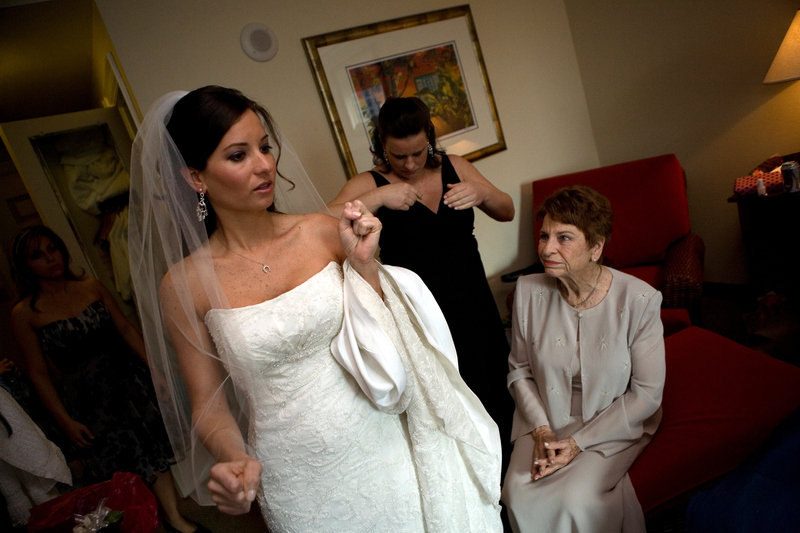 And of course, there a few of her rules that cannot be forgotten: Leaving the house with out completely accessorizing was unheard of, always cover your drink that you bring to bed, so no dust settles in it, and spoil your grandchildren was at the very top of her list too. For me, the sight of butterflies and rainbows are little reminders that she is always around. You will find something that always appears around you in the oddest of places and in just a split second that you see it, you will think of your grandma. Your grandma is resting in peace because she knows how much she loved you. I have tears in my eyes. So sorry to hear about your grandmother. She sounds like she was a great woman.